A woman proves in court that her husband was murdered by her sister, but the judge decides that the sister cannot be punished. Why? 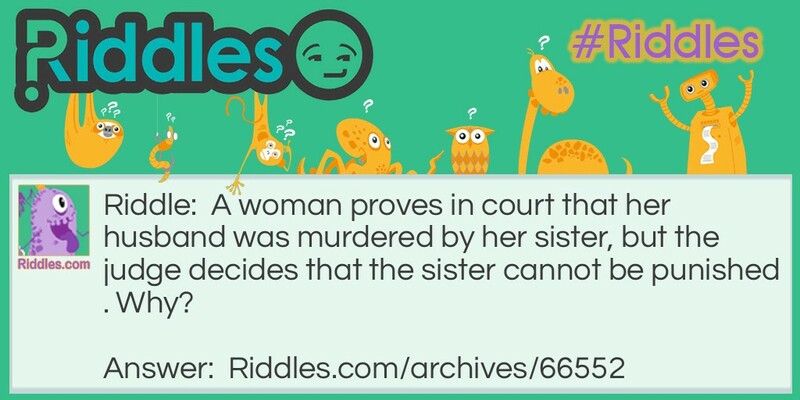 The muder Riddle Meme with riddle and answer page link.